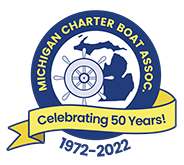 Harrisville Fishing Charters and Guides directory from the Michigan Charter Boat Association. Harrisville, Michigan is on the western shore of Lake Huron and has a harbor for recreational boaters and outstanding fishing!. The harbor is a center for salmon and trout fishing. It is also a designated "Harbor of Refuge" on Lake Huron by the US Coast Guard. The town also boasts Harrisville State Park, which includes a wooded campground right along the beach. It is said that this beach is spectacular. Sturgeon Point Light Station, a lighthouse and museum is just a few miles to the north, and is open to the public. ]Lake Huron Pink Salmon, Lake Trout, Steelhead, Brown Trout, Walleye, Perch are some of the species you can catch. Harrisville , Michigan located at 44.649250, -83.301050 USA Great Lakes Region.